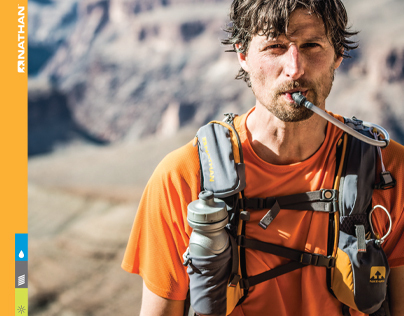 Proper hydration is essential for runners. 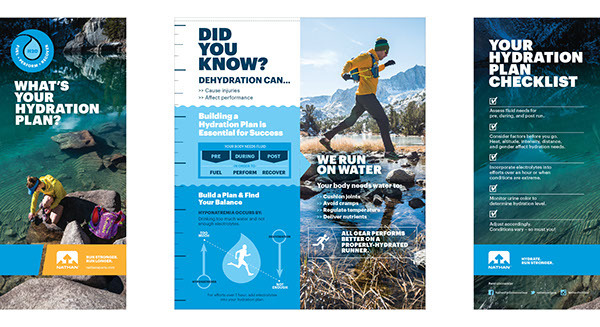 Water helps the body cushion joints, avoid cramps, regulate temperature, deliver nutrients, and increase mental fitness. 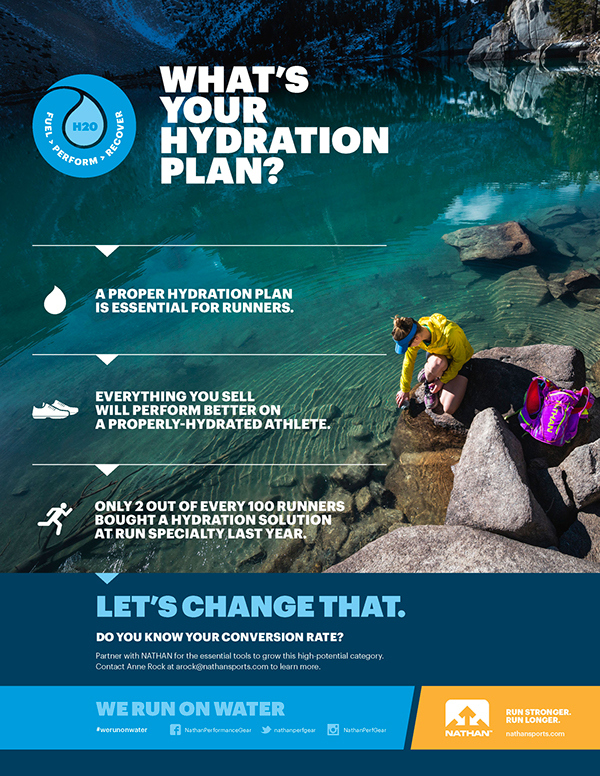 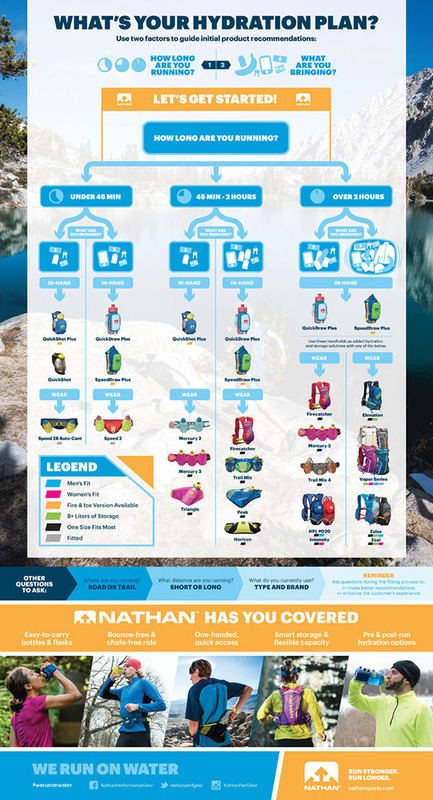 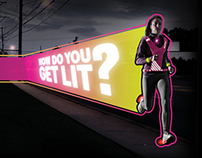 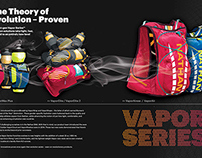 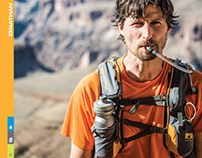 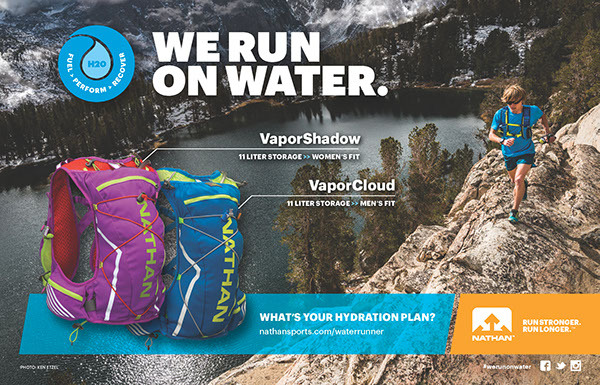 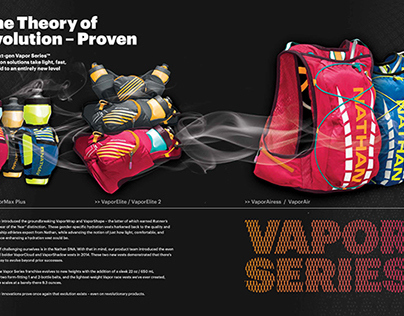 The 2014 hydration campaign for NATHAN Sports sought to educate the running community on the benefits of a proper hydration plan and guide them through the product families that will assist them with implementation. 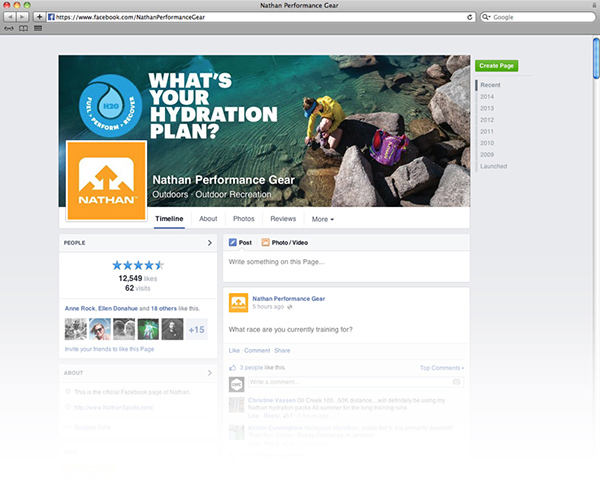 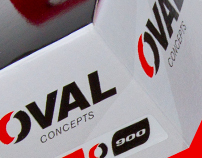 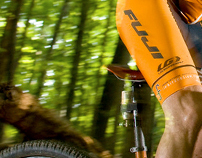 Campaign logo showing water (and NATHAN as a partner) is at the core of the runner's cycle. 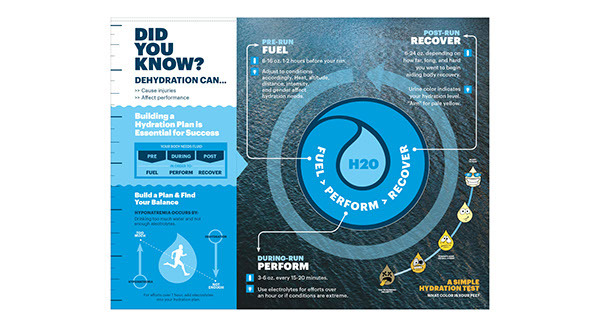 H2O fuels performance and aids in the recovery process. 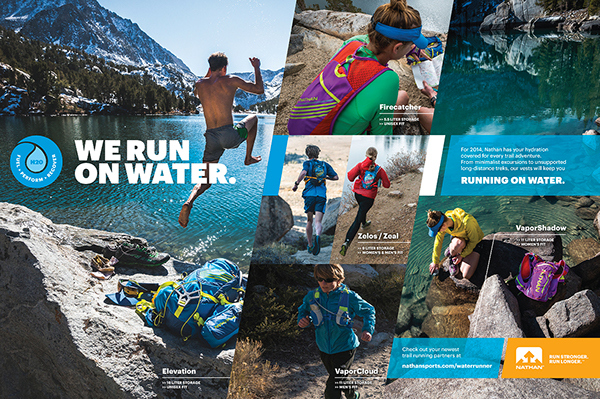 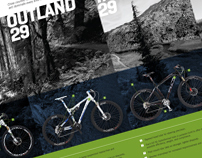 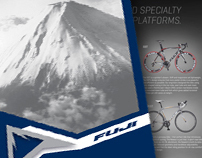 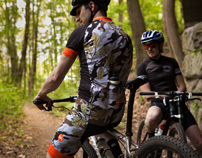 Retailer and industry facing full page ad for Running Insight Magazine. 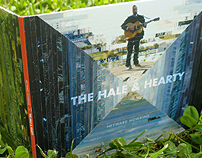 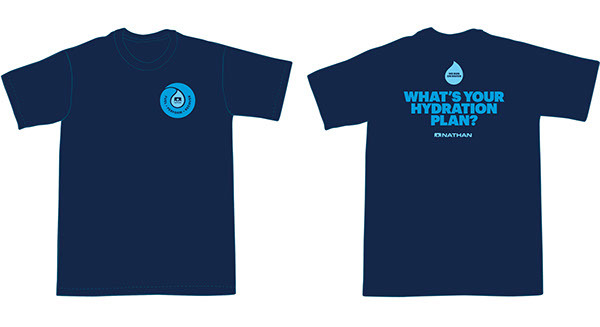 Utilizes the main camapign headline which asks the question "How Do You Hydrate?" 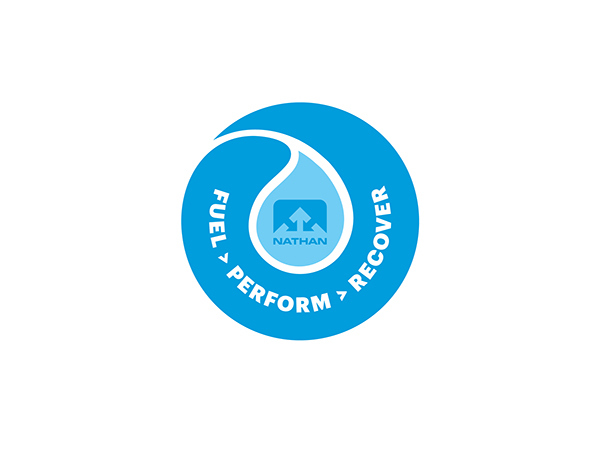 Campaign t-shirt created for retailer employees, outside sales reps, sponsored athletes, and NATHAN employees.